It can be hard to create a plan to spend less, save more, and get on track with your financial goals. But thankfully, there are a lot of tips and tricks that you can apply to your personal finances. More than just saving, these are ideas that will inspire you to change your spending habits, increase your investments, and prep your for your financial future. So check these ideas out, and let me know how it goes! I’d love to hear your success stories. Tracking and knowing where all your money is going, will put a spotlight on your financial habits. It’ll let you know how what you need to cut back on or stop. Make it a habit to check your numbers monthly to help improve your finances and motivate yourself to work hard. Set a schedule for each month and review where you’re at. 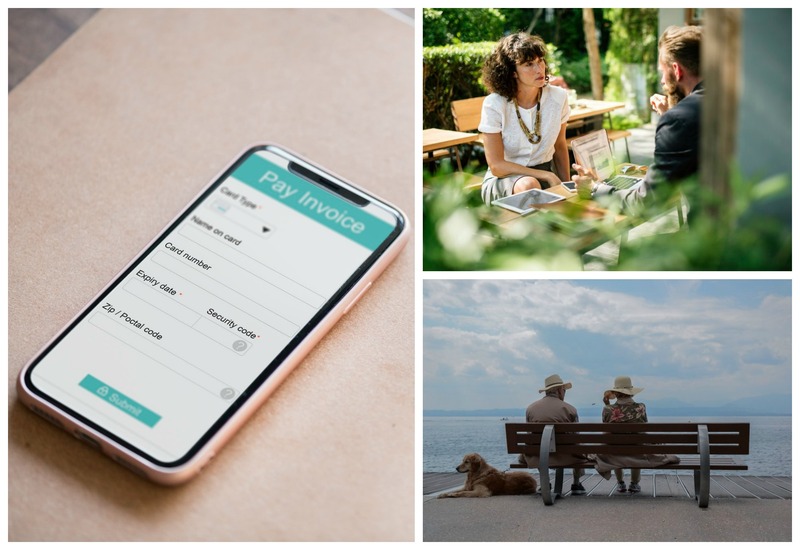 If you automate your bill payments, savings, retirement plan, investments, and health insurance, you’ll never have to worry about paying late fees. It takes away the stress of having to remember who gets paid, when, and how. To keep yourself on track with your finances, start changing bad habits and think of alternative ways to cut out unnecessary spending to save hundreds or thousands every year. Why not make your own coffee, packed lunch, or snack at home? It’ll definitely fill you up, benefit your body, and save you money. Saving is something that we can all benefit from. It means you’ll have a security blanket in case an emergency pops up. Also, building your wealth can get you ahead of your personal finances and achieve financial freedom. By simply saving a specific amount every payday, you’ll reach your goals sooner. Also consider thinking of other ways to increase your income. Why not get a side hustle aside from your 9-5 job? It’s a great way to increase your income stream. There are plenty of rewards apps out there that offer rebates. You just have to download them for free, sign up, and start collecting cash back. Paribus: This a 100% free app that lets you know whenever prices drop. You can get refunds from stores like Walmart, Best Buy, Target, Amazon, Costco, and so much more! Best of all, you can even link your Amazon account to monitor their price drops too! Checkout 51: This is one of the easiest ways to save money on the brands you love. All you have to do is upload your receipt using the app and you’ll get cash back! When your account balance reaches $20, you can cash out and they will mail you a check. SavingStar: This app has crazy good rebate offers and cash back incentives. For instance, you can save up to 20% on fruits and veggies every week. Scheduling a regular meeting even for just half an hour a month will benefit your financial plan. Setting aside time to talk about your budget, fees, receipts, and spreadsheets will give you updates and a summary on everything. By implementing this tip, you can see what to work on and where to save more. If you have a spouse, get them on the same boat. This can also strengthen your marriage if you’re working on it together. Reducing your debt using cash may sound hard at first but give it a try and you’ll be thankful later. When you opt to use your cash on hand, it’ll eliminate the high-interest rate of your credit card. This can immediately free up cash flow that can go towards the principle and lower the amount of debt. Without the interest rate, you can easily get rid of your debt and build an emergency fund that you can use when there’s a rainy day. If you don’t have a plan yet for your retirement, then definitely make one now. You might say it’s too early, but by failing to prepare, you are preparing to fail. By being able to specify your plan for your retirement and where and how you want to see yourself decades from now, you are more likely to be motivated to succeed with your financial goals. This will get you thinking ahead and it’s easier to save money when you have a specific goal. Having your personal finances organized and on track is so important. And applying these ten great ideas to your situation will definitely help you get ahead. So give them a try and tell me how it goes! Now if you have any questions about these personal finance hacks, comment down below. I’d love to help you out!